We don’t go to the cinema a whole lot. We tend to keep it for mid-term breaks, Easter holidays, birthdays, that kind of thing. Which is enough when your entourage is four children. Cinema ain’t cheap after you factor in treats. However, it seems to me that I have been looking at the advertisement for Zootropolis for the last year and if I am to be completely honest, it didn’t spark joy in me. 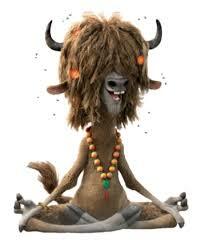 But then I discovered Jason Bateman was in Zootropolis and I cheered up a little. When I say “in Zootropolis” I mean he lends his voice talents to it because in case you aren’t aware, Zootropolis is an animation. I’ve harboured a little crush on JB ever since his Valerie days. There’s not many of you out there who remember Valerie. I’d wager. Google it. Actually, here’s a link. So we went along to see Zootropolis. The boys knew who all the characters were and kept talking about them a while two weeks before we went. Them: “Zootropolis is everywhere!” Insert suitable scornful emoji’s here. And I was more than pleasantly surprised. In fact, I might allow them to buy the DVD when it comes out. Unlike my frantic head shakes of “No! No! No!” when Mister Husband discovered The Good Dinosaur in Penney’s lately. I laughed at all the appropriate places in Zootropolis. I even figured out who the real bad guy was. 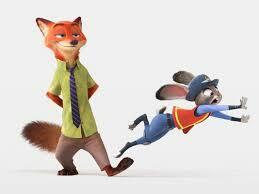 I loved how Nicholas P. Wilde (Jason Bateman. Swoon!) the fox managed to look like his human counterpart especially when he stuck his hands in his pockets. 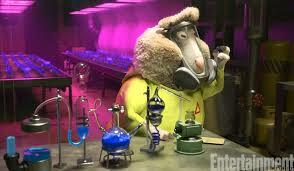 I’m still struggling over the Breaking Bad references. I’ve never watched it but I reckon the meth lab has something to do with it? Yes? No? For what it’s worth I thought I would ask my boys if their cinematic experience was worth it. There may be one or two spoilers within. 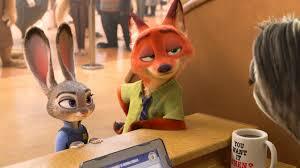 Did you like Zootropolis and why? 10-Year-Old: Yeah. I don’t know coz sometimes I like animations like that one. I liked it because there was a mix of everything. It was funny and kid of creepy at some points. I liked the colours in it too. 8-Year-Old: Yes. Because they had horror bits like when the otter jumped up and stuff. The clouds and stuff around the panther made it look really scary. And creepy. I also liked the victory toot toot. 6 ½ year Old: Yeah. I liked the way Mr. Otter jump scared the panther. 5-Year-Old: Yeah! Coz I liked when Judy Hopps went so fast. I liked the fastness of her. I liked when Judy Hopps was in the guard car. She stopped it really fast. I liked when the fox actually got caught with the polar bears in the car. What do you like most about the cinema? 8-Year-Old: It’s loud and it feels like the world is shaking when it starts. 5-Year-Old: I like the way it’s nice and dark coz there’s no windows except a door. I like the booster seats. The whole pack of them is different colours and you can pick whichever one you want. I actually like everything about the cinema. And that’s all. Who was your favourite character in the movie? 10-Year-Old: Nick. 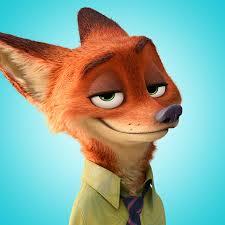 I like foxes in real life and he was funny. He was smart the way he thought up hustles and then he turned good and he helped Judy Hopps. He became a junior detective in the end. 8-Year-Old: Judy Hopps. Because she was funny. 6 ½ Year Old: Judy Hopps. Because she’s a cop and she’s brave and she got scraped close to the cheek. But it wasn’t bleeding. 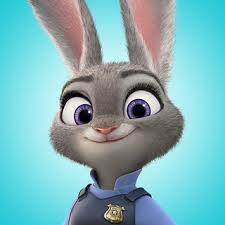 5-Year-Old: I liked when Judy Hopps was a little little bunny and she was hopping. She was really really cute. And that’s all. 10-Year-Old: Some bits were funny but it wasn’t like the funniest thing in the word. 8-Year-Old: Yes. I liked the toot toot bit and the tiny Chihuahua when he got the jumbo pop. 6 ½ Year Old: No. Because there was a lot of horror and jump scares and stuff like that. I thought it was really scary. 10-Year-Old: I think the end when they figure out the night howlers. I felt that they had to go to Zootropolis to find out the cure and that was really good. 8-Year-Old: The bit where Judy Hopp discovered the night howlers weren’t the wolves and the mayor sheep was found out. I loved the bit where it was tense when the panther was chasing them. When they thought Nick went wild and the way he grabbed Judy around the neck and she was all “blood! blood! blood!” the way the movie started. 6 ½ Year Old: I liked the way Judy Hopps went to Zootropolis. I thought Nick was a little bit too mean at the start but by the end they were great friends. 5-Year-Old: eeemmmmmm I liked when the night howlers caught the tiger. 10-Year-Old: Yes. It’s really good and I think they would enjoy it. 8-Year-Old: Yup! I hope we get it on DVD when it comes out. 6 ½ Year Old: Yeah. I don’t think they would be scared. 5-Year-Old: Yeah. When I see them again. So there you go. But don’t just take our words for it. Go see it yourself.